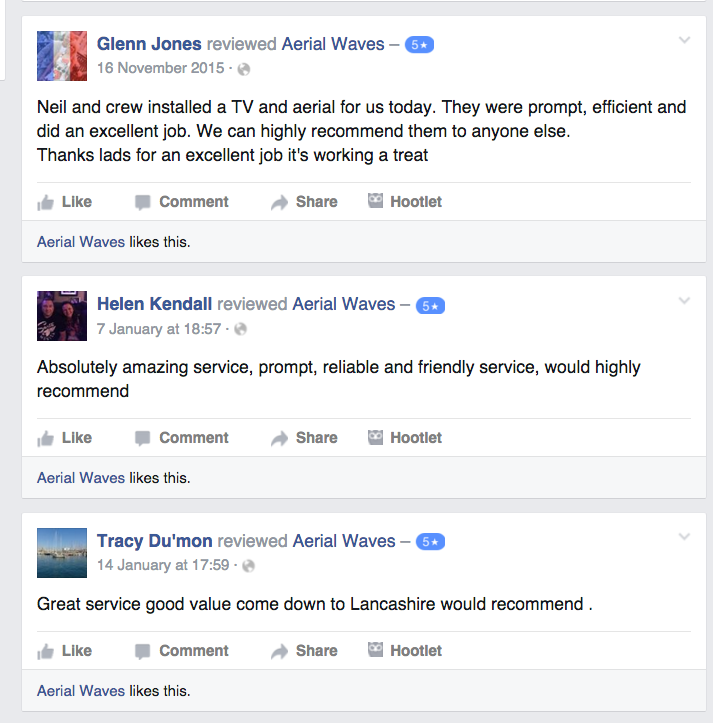 Aerial Waves is very excited for the future of Freeview and we’d love to share some great news with you! Freeview and Digital UK have announced that they have now passed over 5 million Freeview Play devices sold since it was launched in 2015. The devices provide UK DTT viewers with access to all kinds of TV programming – including live, catch up and on-demand. It is said that over 3 million of the owners are “active users”, which the company expects to grow to over 4 million by the third quarter of 2019. Freeview has just announced the launch date for their new mobile app which will be available January 22 2019. 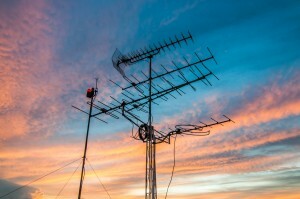 It will provide a one-stop-shop for the country’s most watched TV channels and shows. Initially, it will launch on iOS with Android to follow and will be able to stream BBC, ITV and Channel 4 live channels and access on-demand content from BBC iPlayer, ITV Hub, All 4, My5 and UKTV Play. Additional live streams and catch up players will be added as the app is updated and as with all Freeview products, the app will be a free download and free to use with no subscription fees. 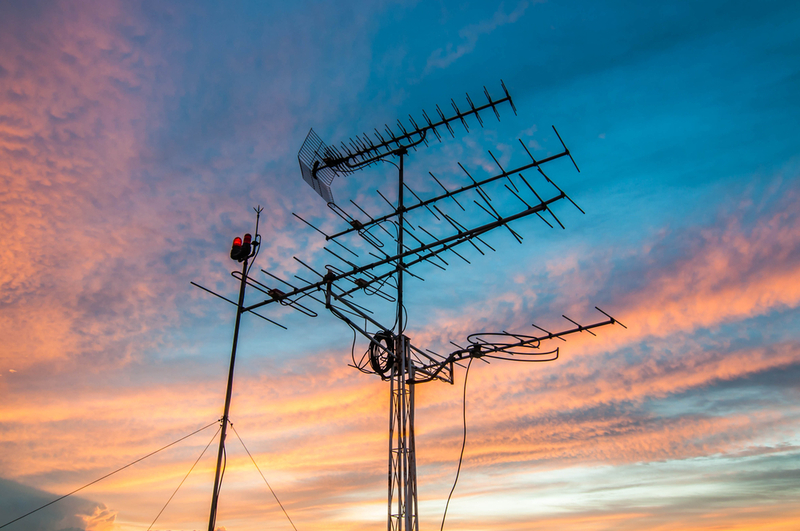 This marks a significant step forward for the UK’s largest TV platform and first-time people will be able to watch Freeview programming without having access to an aerial. This provides a service that matches the needs for current consumer habits which lean towards streaming on mobile devices. The company hopes that this will follow the success that Freeview has had in the nation’s homes and become the bedrock of on-the-go consumption as well as in the home. The app is described as feature rich and will allow viewers to browse both live and on-demand content through the supported players from the BBC, ITV, Channel 4, Channel 5 and UKTV. There will also be a recommendation feature that will allow you to discover new favourite shows across the platform. Jonathan Thompson, CEO, Digital UK said, “In an increasingly fragmented media landscape, the new Freeview mobile app is an excellent example of broadcaster and industry collaboration in action. Today’s viewers value having access to their favourite shows when and where they want and the new app provides the aggregated experience that consumers increasingly expect from a TV provider. We’re putting the best of free-to-air content – public service and commercial – into one place on mobile just as we have on TV, ensuring that great free tv is available to everyone wherever they are”. 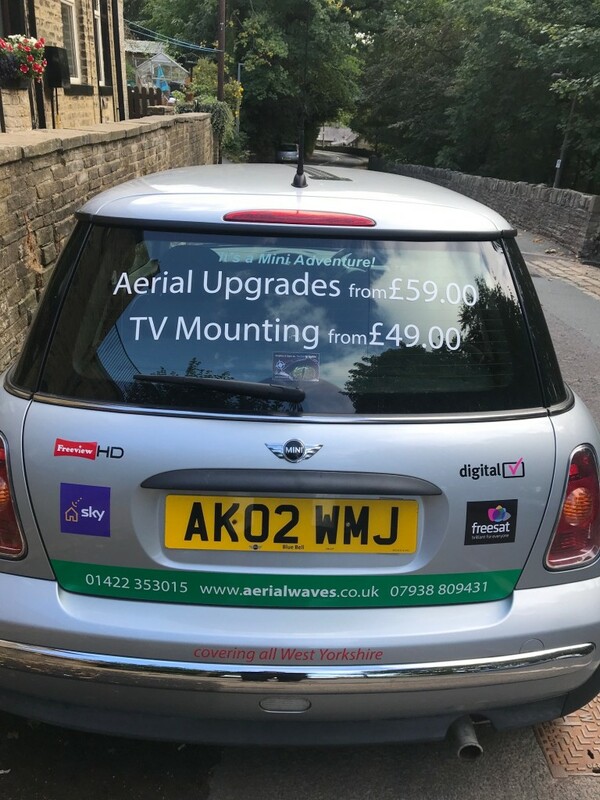 Aerial Waves has been incredibly busy installing TV aerials, wall-mounting TVs and upgrading people to digital aerials but we thought we’d check in with you! 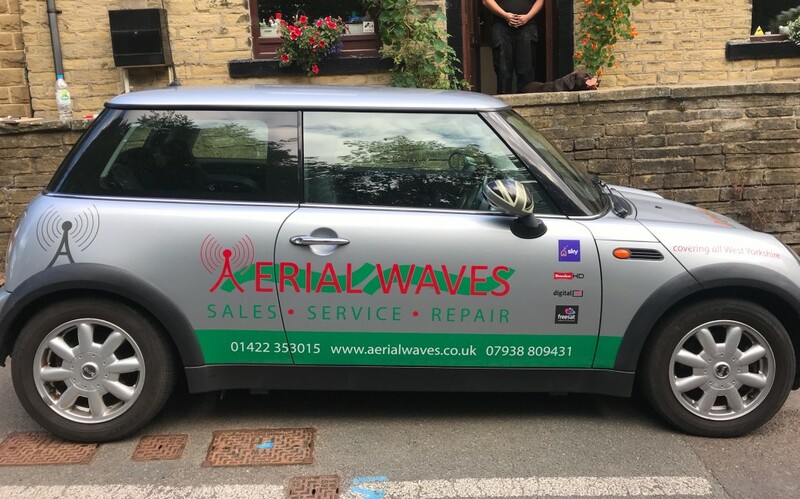 We’ve been looking for a new way to market Aerial Waves to more customers and we are happy to announce that we have chosen a Mini Cooper to join our little family. As you can see, it is plastered with our logo and the services we provide. 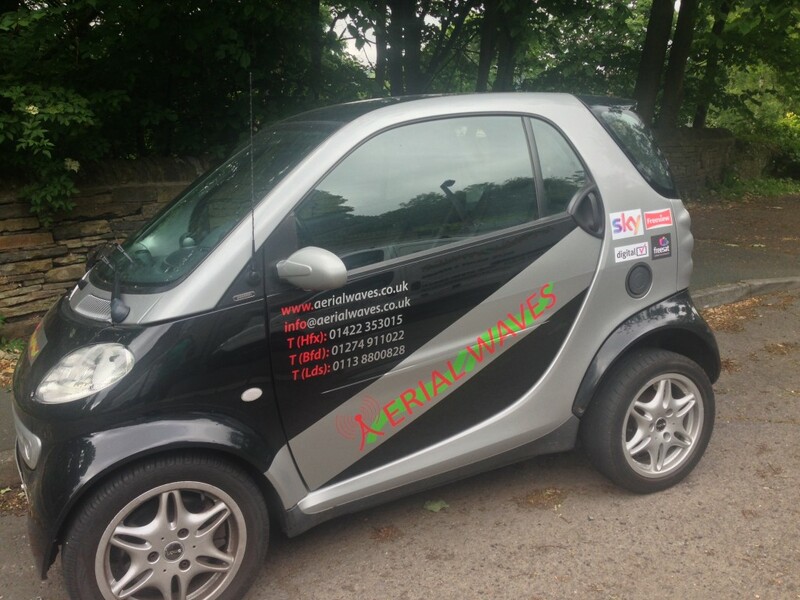 So if you see it around driving around Halifax be sure to give it a wave and call us if you need any aerial services. Thank you for all the fantastic reviews. 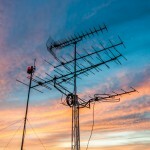 See more by visiting our Aerial Waves facebook page. Curved screens are becoming increasingly popular. We are pleased to announce that we are able to fit curved screens. 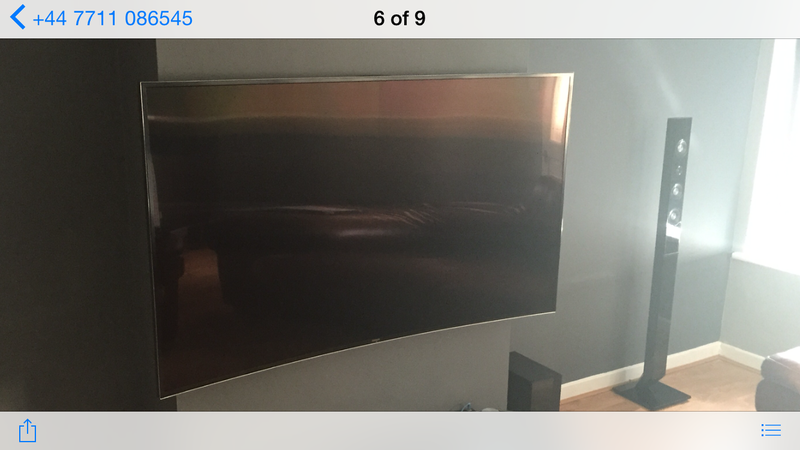 The installation is slightly different but see below the image of our latest wall mounted curved screen installation.